If you decide to book a taxis, we suggest doing so in advance and obtain a cost. 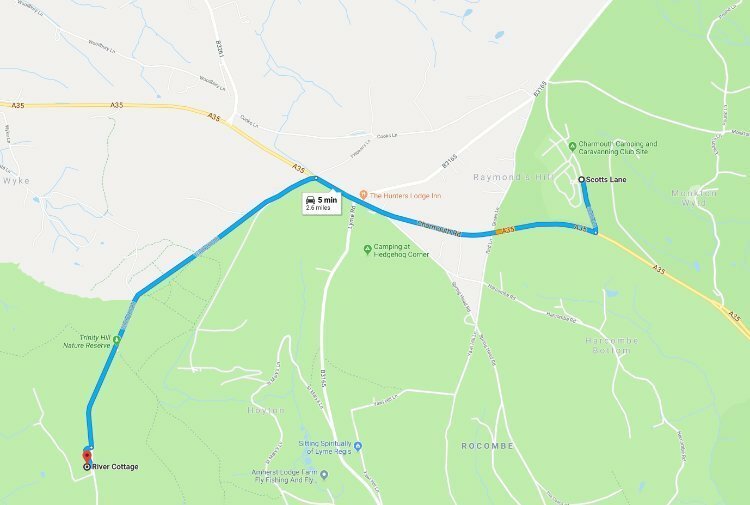 ,Most people will have heard of Hugh Fearnley-Whittingstall and the famous Channel 4 TV Series ‘River Cottage’ to where Hugh escaped from London’s rat race and pursued his dream of self-sufficiency, growing his own vegetables and raising his own animals at a gamekeeper’s cottage near Netherbury in Dorset. Since then, the father of four has published more than twenty four books and campaigned on numerous food and environmental issues. 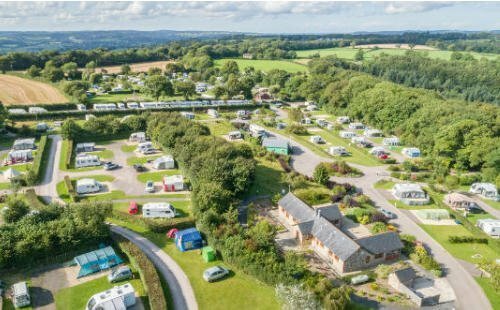 River Cottage is still going strong and many people stay at Monkton Wyld Holiday Park to visit the River Cottage Deli in Axminster or to book a place at the River Cottage HQ and attend a course or dine in the beautifully restored barn. 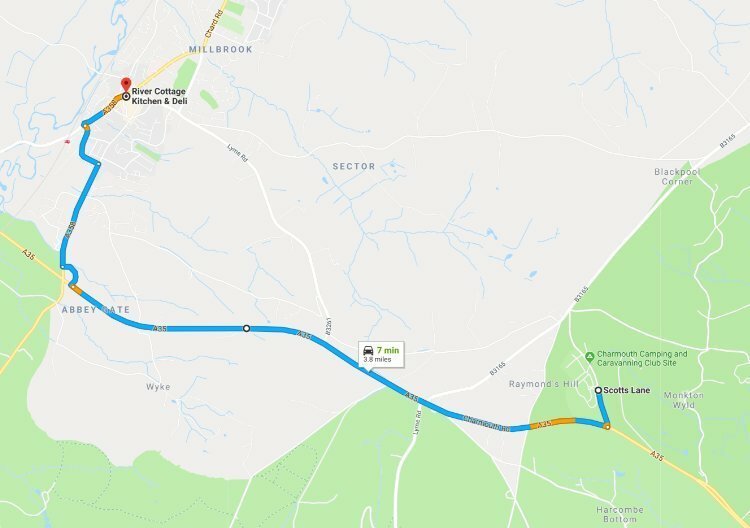 Whether you choose to drive, or book a local taxi, you are close to River Cottage for the perfect visit. 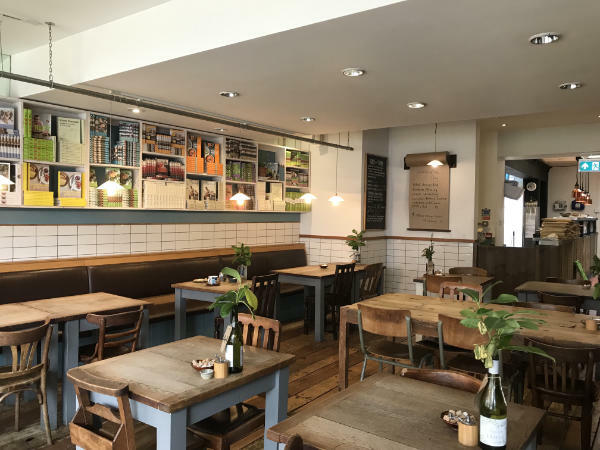 Visit River Cottage Kitchen in the local town of Axminster and dine on the very best the season has to offer. 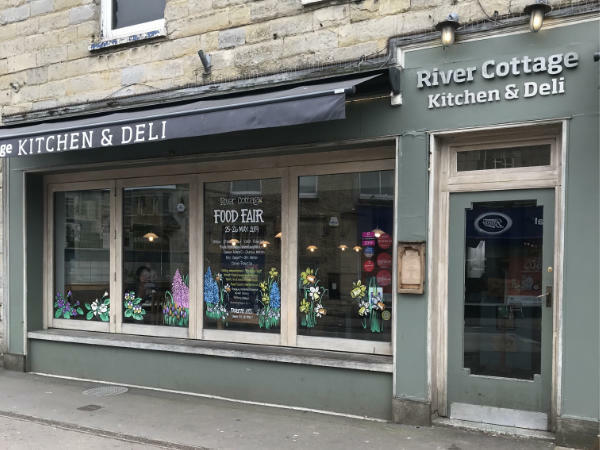 Located in the heart of the historical town of Axminster, River Cottage have created a local produce shop and informal restaurant in a building that was formerly housed the town’s ballroom. 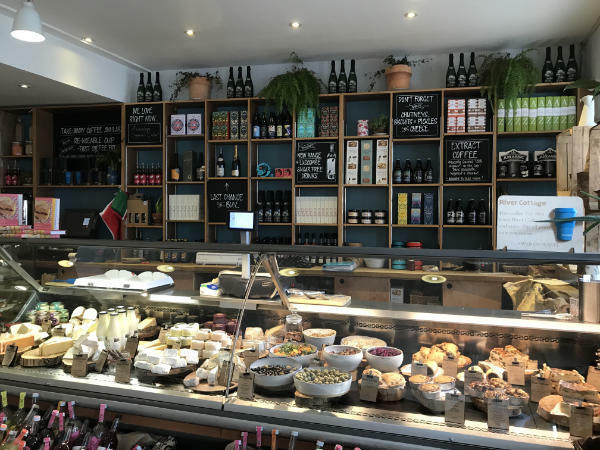 Apart from their delicious daily menu, remember to visit their in-house deli counter for a seasonal selection of goodies. 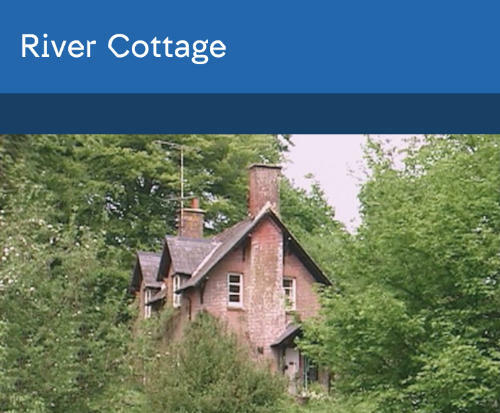 River Cottage Kitchen is only a short journey from Monkton Wyld holiday park. The River Cottage HQ is where the TV show is now filmed at. 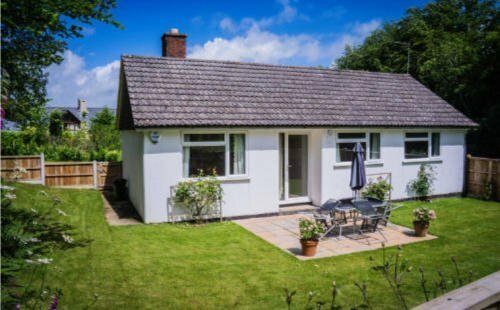 It used to be called Park Farm and is cradled in the Axe Valley on the Devon~Dorset border, which is just a stone’s throw from the famous Jurassic Coast. 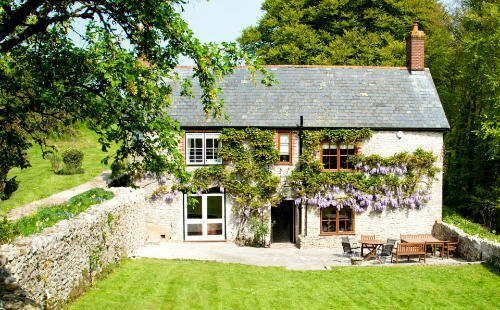 This beautiful and secluded 66 acre organic farm and its 17th-century farmhouse with converted barns now provide delicious dining experiences and cookery courses on a wide variety of topics. 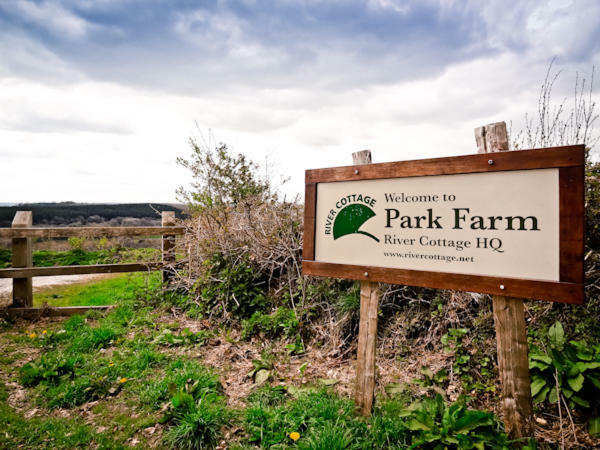 River Cottage is well known for its seasonality, sustainability with a dedication to the best local products and ingredients. Dining experiences provide an unforgettable dining experiences, where else but River Cottage do you start your meal with a tractor ride and canapés in a yurt, complete with wood burner and hay bales? Dinner is then served in a beautifully restored barn. 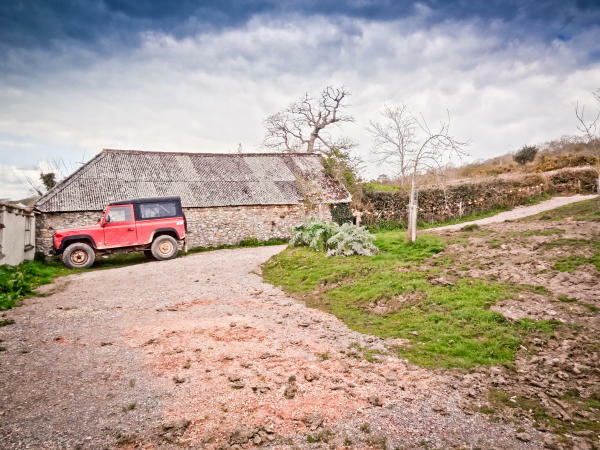 River Cottage HQ has a thriving array of courses including regular Friday and Saturday night events where guests will enjoy fantastic local, seasonal food and often meet members of the River Cottage team. Their range of extensive courses, feature such topics as ‘Catch and Cook’ where guest spend the morning fishing before returning to HQ to cook their catch. There are so many courses from on bread-baking, bee-keeping, brewing, cheese-making, curing meat and foraging for wild foods. They even have special events designed for children. Quite often weddings and special events are hosted to which some are attended by Hugh. 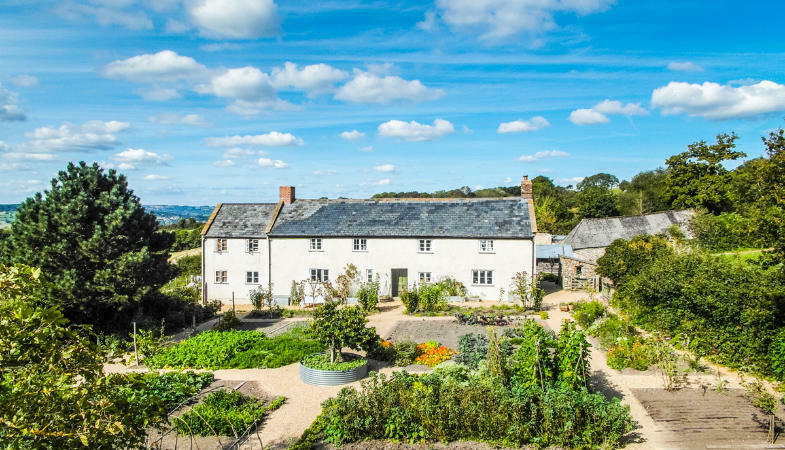 There is the yearly Spring, Summer and Autumn fairs at River Cottage HQ – Tickets do go very quickly, so best to act fast and book on-line at their website.